Fencing - J Norman & Sons Property Services Norwich & Suburbs. Need to keep something in? or out (like prying eyes!)? Want to add a decorative border to your property line or to section off some of the garden. Maybe for the kids or pets, or more importantly from the kids or pets!? Has the wind blown your fence panels over? Or just need a post replacing? Whatever your requirements we can help, why not contact us for a no obligation quote? As always we will complete any project with the minimum of fuss and inconvenience to you and your family. Whatever your needs we can help, from installation of panel fencing with wood or concrete posts, through to the American dream (apparently!) white picket fence, with gate of course. We can usually repair individual pannels/stretches of fencing. Concrete or timber, we can replace individual posts as required. We can usually source a good style match to replace individual panels. 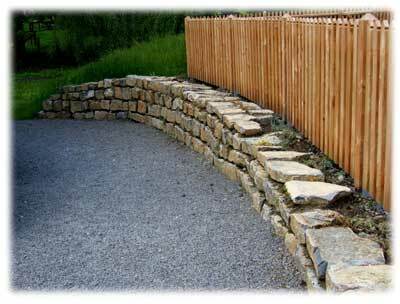 We can erect or replace your existing boundary fences.